In 1979, a struggling writer named Bradley R. Smith stumbled across a bizarre idea: What if the stories of Hitler exterminating millions of Jews in gas chambers were not true? What began as a peculiar notion soon gave way to a dangerous and life-defining intellectual adventure. 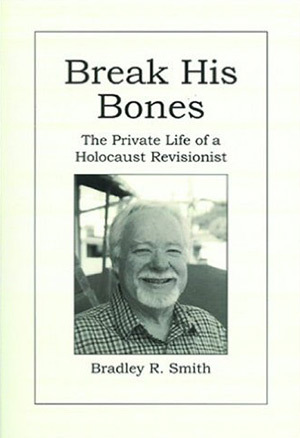 For his subsequent efforts as a public spokesman for dissident historical inquiry, Smith has been widely reviled and denounced as an anti-Semite. Break His Bones presents a seldom-heard side of a story that has come to be shrouded in misapprehension and acrimony. It is a simple book by a simple writer who chose to confront a profound question at great personal cost. It is the record of a man attempting to integrate into his daily life and consciousness what for him was a momentous discovery, one that brought about an almost geologic shifting of perspective and belief. Smith remains an incorrigible romantic. He believes that a free press and open debate are preferable to taboo and censorship. He still believes there is an outside chance that he will find a way to convince the professorial class that to encourage intellectual freedom is a good, not an evil – even with regard to the Holocaust question. This is his story. 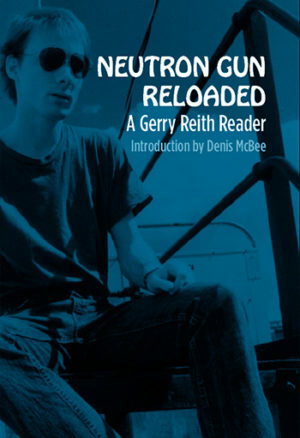 And it’s one helluva good read.